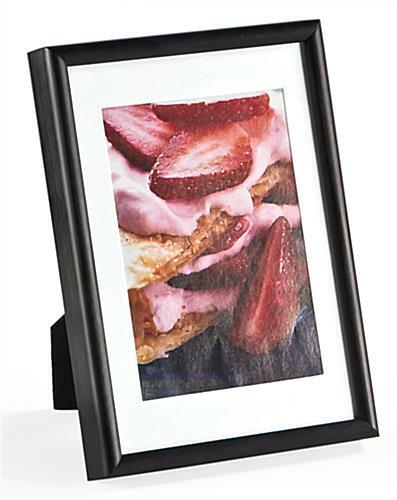 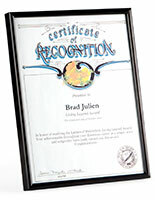 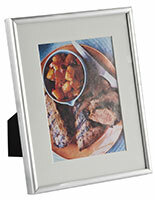 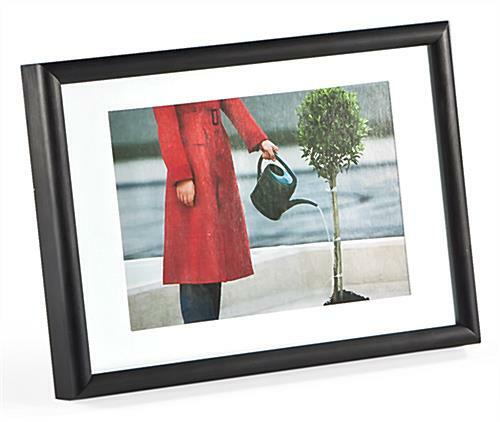 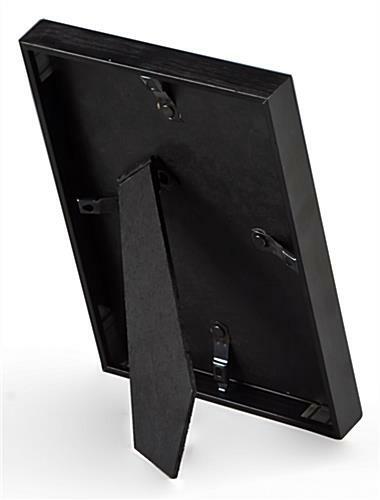 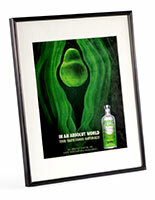 Media Size: 3.5" x 5" / 5" x 7"
This picture frame features an aluminum construction with a black anodized finish. 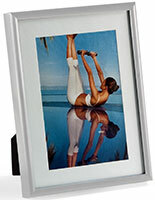 Insert your photographs from the back via the swivel clips. 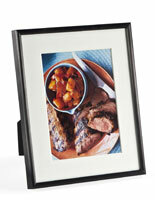 Place on any table or countertop in either landscape or portrait format. 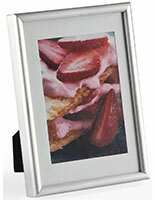 If used with the matboard the image size is 3-1/2" x 5". 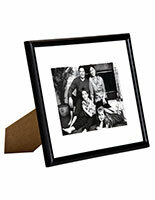 When removed the picture frame is sized for any 5" x 7" print. 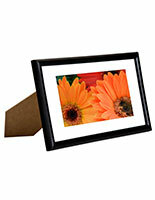 5.3" x 7.3" x 0.875"
5" x 7", 3.5" x 5"